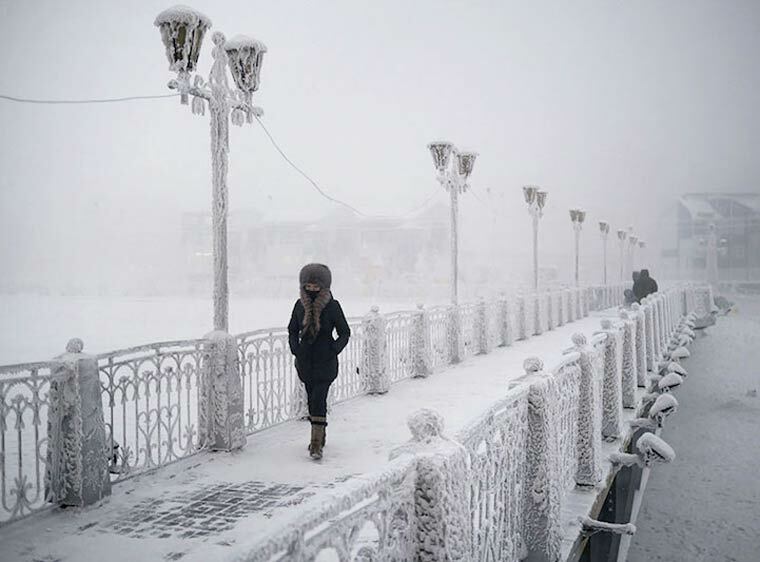 The Coldest Village On Earth, Oymyakon. 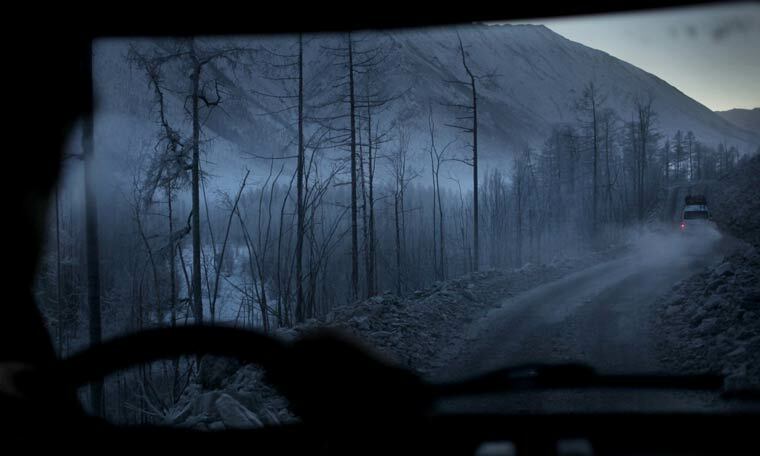 If you think that winter has already come to your city, pictures from Oymyakon, the coldest village on Earth, might change your mind. With the lowest temperature of -67.7°C (-90°F), recorded in 1933, and the average for January being -50°C (-60°F), this village is the coldest permanently inhabited place on this planet. 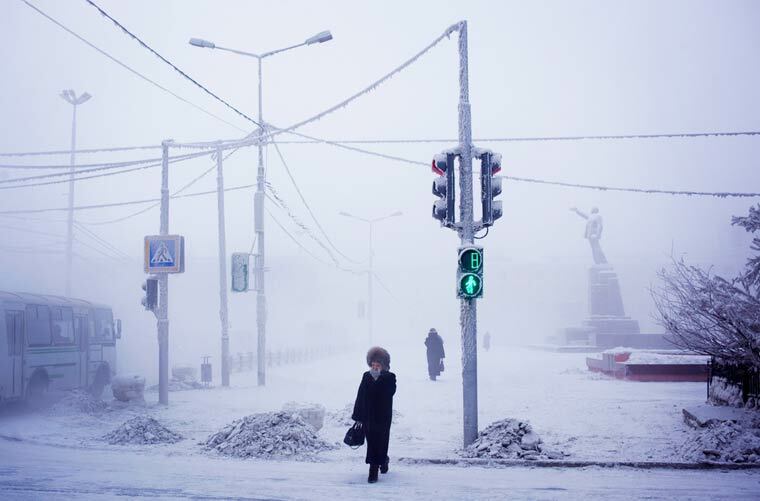 New Zealand-based photographer Amos Chapple decided to go on a two-day journey from Yakutsk, the coldest major city on Earth, to capture what everyday life is like in Oymyakon. 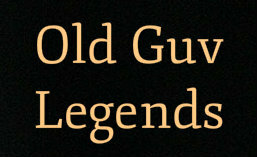 “I was wearing thin trousers when I first stepped outside into – 47 °C (-52°F). I remember feeling like the cold was physically gripping my legs, the other surprise was that occasionally my saliva would freeze into needles that would prick my lips”, the photographer told to weather.com. The photographer recalls that the hardest thing was not the cold itself, but that his camera’s focus and zoom rings would occasionally freeze in place. 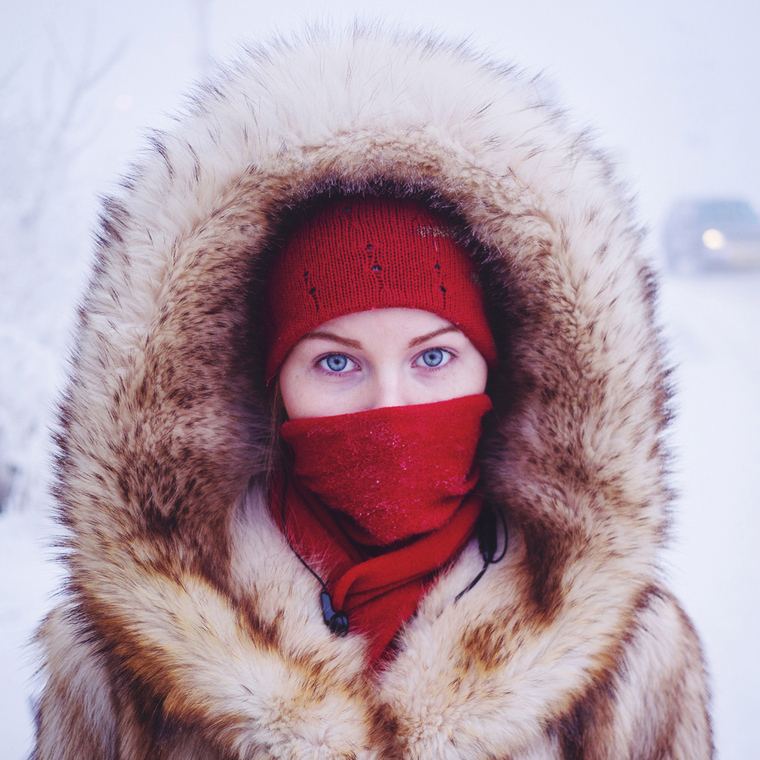 See more Images via Photographer Travels From Yakutsk To Oymyakon, The Coldest Village On Earth | Bored Panda. ← The Baobab Tree Lives On. Makes our Aussie winters look like a heat wave. I’m struggling at 5 centigrade, I couldn’t handle it. Me too! I’m a summer girl through and through!